This day has come to mean so much more to my family than a 5K race. It has meant honoring our wonderful Dad and for using our personal story to make a difference, to offer hope and inspiration and for something good to come from this horrible diagnosis which is slowly taking him from us way too soon. It brings our family such comfort to know that our Dad's life and his current situation has been used to bring inspiration and promise and hope that this disease will one day have a cure and treatment. We feel gratitude and love for each and every person who contributed to this cause. We appreciate your part in turning the sadness we feel when hearing this diagnosis, into hope for the future. 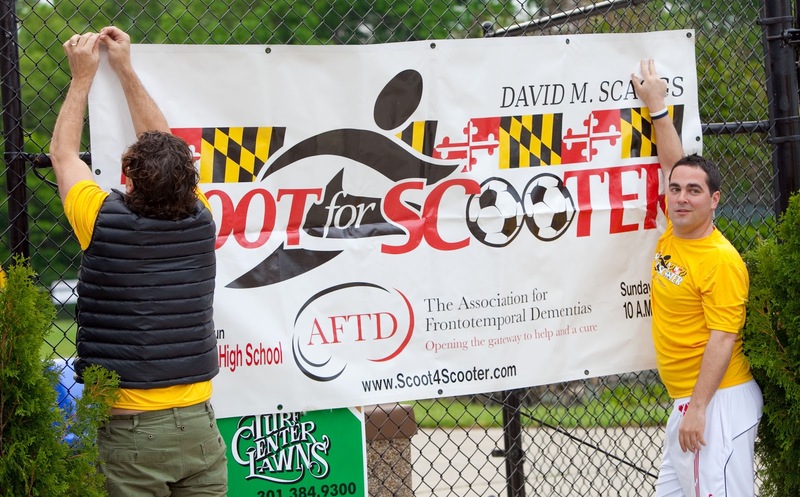 Your participation in Scoot for Scooter has helped to bring the dream for a cure closer to a reality. We thank you from the bottom of our hearts for spending this day with us. Together, once again, we really made a difference. Copper Ridge Outpatient and Residential Care for the Memory Impaired. Located in Sykesville, MD, Copper Ridge is internationally recognized for its staff, environment and programs. Copper Ridge opened its doors in July 1994 with a state of the art dementia care program and has since achieved international recognition as a leader in dementia care. Copper Ridge continues to be widely known and accepted as the premier example of dementia care through staff presentations at national conferences and through the education and research efforts of The Copper Ridge Institute. Gary Landsman Photographers GARY LANDSMAN has been a photographer for over 20 years. His clients say he warms to all of his subjects while creating images that are captivating. Gary's extensive experience includes shooting still life subjects ranging from food to full-scale interior architecture and corporate and advertising lifestyles. California Tortilla of Mt Airy, MD. Thank you for a great Fundraiser night! 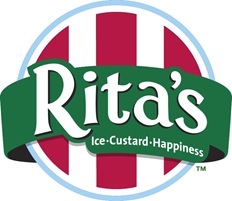 At Rita's, our tag line of "Ice Custard Happiness" is more than a saying. 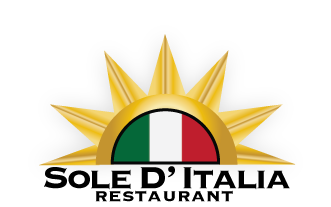 It’s our way of life – and a steadfast promise to our valued guests. We promise happiness, and it’s a promise that we keep. Our franchise partners and Treat Team members stand behind it every day when they come to work and serve our guests. Because at Rita's, each person who visits one of our locations is our guest, not just a customer. Coach Wootten's Basketball Camp - The goal of the Coach Wootten Basketball Camp is to help develop a well-rounded, complete basketball player. Our philosophy is to instill in our students the fundamentals of the game along with a proper attitude toward it. We stress confidence, teamwork, effort and sportsmanship which we feel are important ingredients in achieving success not only on the court but also with family, school and life. Corner Stable Restaurant- Now open in the Kings Contrivance Shopping Center in Columbia serving the same great food in our restaurant and bar. Come in and watch your favorite games on one of our sixteen big screen tv's and enjoy our daily food and drink specials. Located at 8630 Guilford Road, 240-755-0188. Come in and check us out! Rolling Mill Restaurant- Thanks for a great fundraiser night! The Rolling Mill Restaurant provides a family oriented environment with a relaxing and casual atmosphere. A variety of menu items are offered including "Fall Off The Bone" Ribs, several Seafood Entrees, including our mouth-watering "Crabby Chicken" and a choice selection of "Cut In House" Steaks. Our Angus Burgers start at just $6.99 and we also offer a variety of Specialty Sandwiches and Wraps. A lighter fare includes awesome Appetizers and Salad selections. Cove Haven Resorts - Looking for a lovers’ paradise for your honeymoon or romantic getaway? Look no further than our Cove Haven Resort. Signs Now- Here at Signs Now, we help you "Stand out in a crowded world™" with our world-class signage solutions. We take a consultative approach to developing the right solution for you. We listen to you and develop solutions that meet your requirements for image, communication, and durability. Marriott Crystal City- The Crystal City Marriott at Reagan National Airport is located steps from hip restaurants, Pentagon City shopping and is just a short Metro ride away from Washington, DC. Loew Vineyards - Located in the gently rolling hills of Frederick County, Maryland, our winery and vineyards are convenient to both the Washington DC and Baltimore metropolitan areas. Visitors are welcome to enjoy a stroll through the vineyards and to sample our estate bottled wines. Barrel Oak Winery - "We're an Hour from Downtown and a World Away"
The Lion's Club of Olney - Lion's Club of Olney is once again assisting us with event parking! Please include your email address for our records. Please contact us at scoot4scooter@gmail.com for more information.